Unfairly Dismissed - What are the Options ? 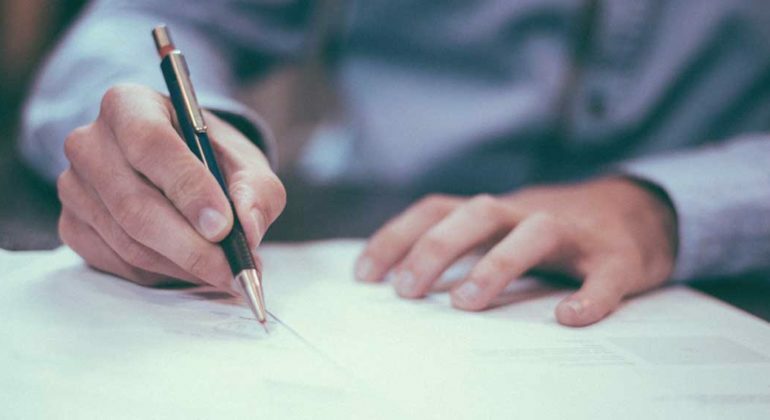 This article concerns unfair dismissal law in Ireland and outlines the options that are available to an Employee who has been dismissed. 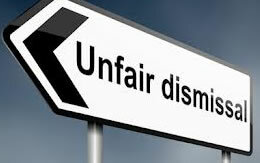 The Unfair Dismissals Acts demand that an Employer has substantial grounds for dismissing an Employee and that within the dismissal process fair procedures are adopted. One example of a fair procedure is the right for the Employee to be heard. Once an Employee has been dismissed the Law considers this dismissal to be an unfair dismissal unless the Employer can show otherwise. A fictional example of unfair treatment is the following; Joe is fifty eight and has worked as a janitor in the school for thirty years. He works forty hours a week and loves meeting the kids and the teachers. Tom a new manager has taken a dislike to Joe and reduced his hours to fifteen per week and subsequently dismissed Joe advising him there was no funding for his position anymore. While walking past the school sometime later, Joe meets Pat the new janitor working forty hours per week. Joe is understandably distressed at the non-disclosed reason for his dismissal, the manner of his dismissal and the subsequent turn of events. Joe can seek to invoke a remedy under the Unfair Dismissals Acts 1977 – 2007. If an Employee has been dismissed because of their age, pregnancy, trade union membership, sexual orientation or by any reason which harbours serious unfairness then this Employee has avenues of redress open to him/her and can obtain the protection of the Unfair Dismissals Acts depending upon certain criteria being met. Not all Employees will be covered by the legislation. An Employee who has one years or 52 weeks service with their Employer can seek relief under the legislation when unfairly dismissed. Certain types of Employees won’t have to satisfy this 52 week period such as a pregnant employee or a worker dismissed for a trade union activity. Lodge an Application to the Rights Commissioner or the Employment Appeals Tribunal for a hearing of your case. Initiate a Court action for breach of contract or breach of a constitutional right. If you decide to bring an Application to the Rights Commissioner or the Employment Appeals Tribunal you have 6 months within which your application must be lodged. This can be extended to a 12 month period but exceptional circumstances must exist to attract this time extension. If you pursue a case in Court citing a breach of contract you have six years within which you must take action. An Employee has three different types of remedies available under the unfair dismissals legislation. Re-instatement means to the position they held immediately before the dismissal. The same terms and conditions in the previous contract will apply in the new contract. A re-instated Employee will be entitled to back pay for the time he/she was out of work. Also, if any terms and conditions have improved during this out of work period the Employee will be entitled to these improvements also. Re-engagement can mean the Employee obtains the same previous position they held before the dismissal or engagement in a suitable other position within the company. It is up to the Employment Appeals Tribunal if the Employee will get back pay or not. The Employment Appeals Tribunal award compensation on the calculation of actual loss suffered by the Employee. This will include salary, commission, bonuses, non-cash items such as a company car, the value of the Employer’s contributions to a pension scheme, health insurance, or any financial loss that has resulted for the Employee. Remuneration can be awarded up to a maximum of 104 weeks of the Employees gross entitlement. A constructive dismissal is also a dismissal but this occurs when the Employee terminates the employment due to the conduct of the Employer. The Employee ends the employment because they cannot carry on any longer. This Employee can seek redress under the Unfair Dismissals legislation. 1. Call us on 01 546 1121 052 61 21999 between the hours of 9 am to 5 pm – Monday to Friday. Please be advised that the above-mentioned material is intended as an overview and as a broad out-line of the topic discussed. It should not be considered as complete and comprehensive legal advice, nor act as an appropriate substitute. Due care has been taken in the publication of this article and we do not accept legal liability as a result of reliance on any material covered in the above article.